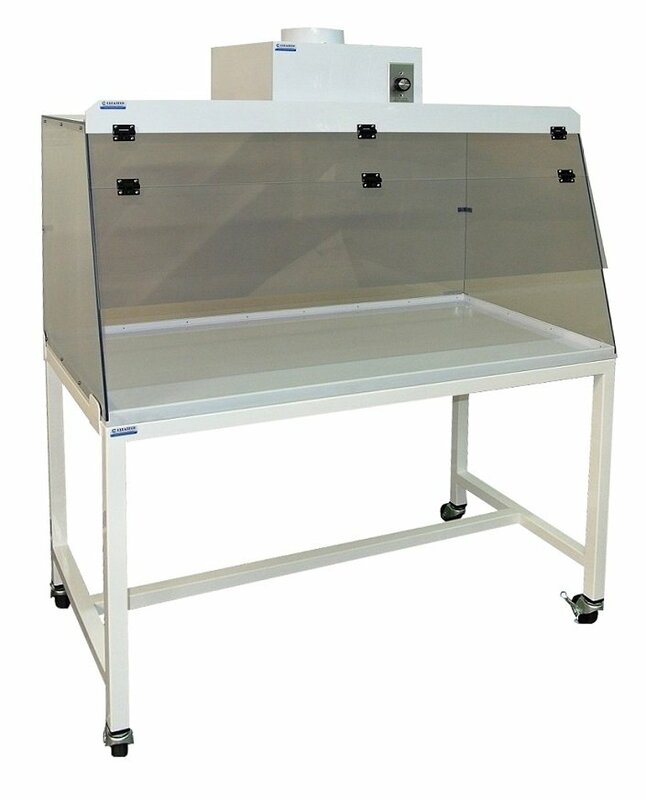 Enhance your lab’s safety with Cleatech transparent ducted chemical hoods. They are available in several sizes and different materials with optional adjustable speed exhaust fan (480 CFM). 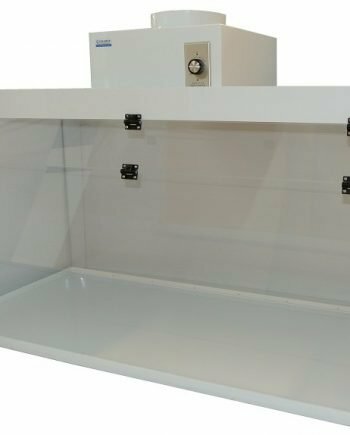 Ducted fume hoods (fume cupboards) are ventilated enclosures for storing or experimenting with potentially hazardous fumes, vapors & chemical powders. They can be placed in laboratories that require fume extraction and exterior exhaust. These exterior-venting exhaust hoods require ductwork and may be used for application involving with high volumes of volatile organics and heavy powder. * Up to two Fan modules can be ordered for the fume hoods depends on the width of selected hood. ** Airflow Alarm Monitor is recommended to improve laboratory fume hood safety. • Polypropylene worksurface resists acids and other chemicals. Fan Motor: Adjustable Speed, Backward curved impeller 480-CFM, Permanently lubricated, Automatic reset thermal overload protection, 120VAC, 60Hz, Polypropylene or Stainless Steel Housing.